A very popular traditional family game of fun and great for parties. For any number of players, aged 7 years - adult. 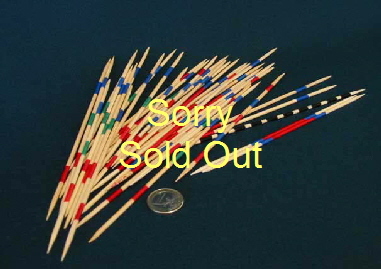 Each player must attempt in turn to release as many of the sticks as possible from a pile without disturbing the ones surrounding it. Boxed in a thin plastic cylinder. Instructions included. Dimensions 56 x 195 x 26 mm. Weight 140 grams.